Photos: On Lecanora rupicola, Allihies, Co. Cork, SW Ireland. 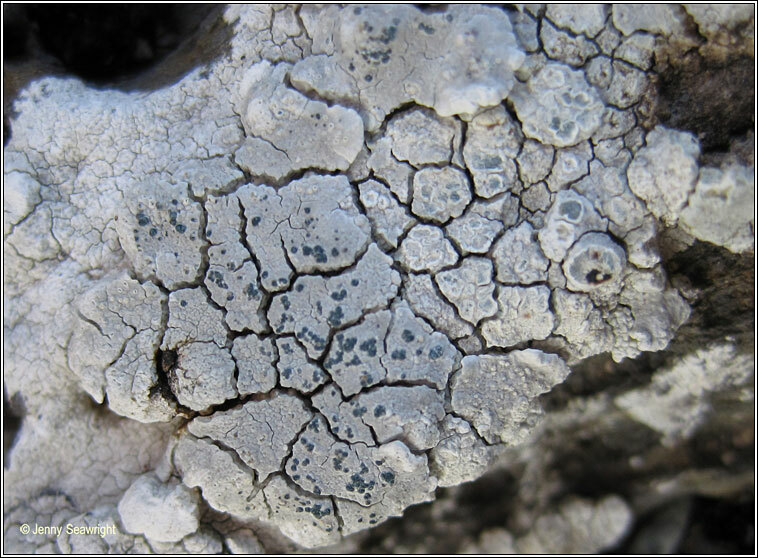 Widespread, developing in the hymenium of Lecanora rupicola and blackening the hosts apothecia. Apothecia black, spores (1-)2-3 septate, 11-17 x 5-6.5 µm. 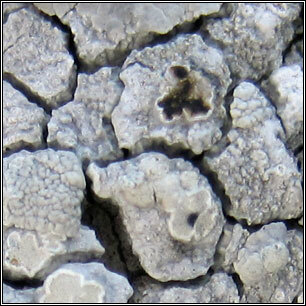 Similar: Arthonia apotheciorum has 1-septate spores. 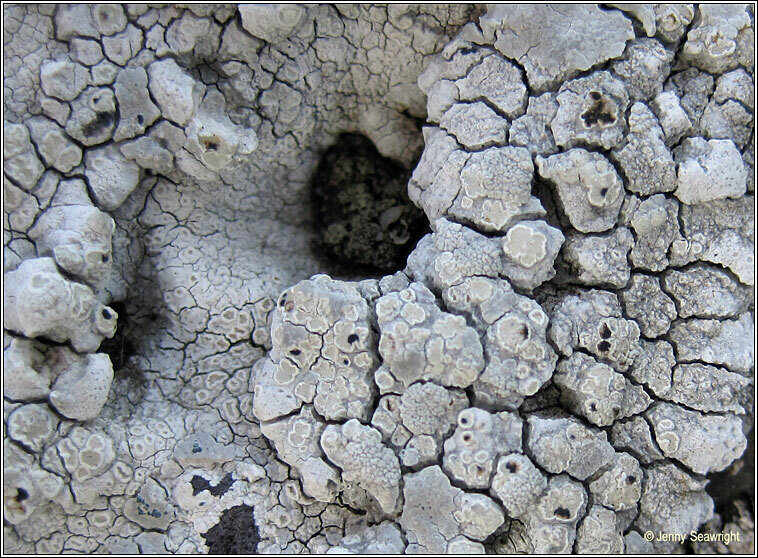 Occurs on members of the Lecanora dispersa group.